Good oral hygiene is important for promoting long-term overall oral health. It helps fight and eliminate harmful oral bacteria and dental plaque in your mouth that may cause cavities and gum disease. Most of all, it’s a simple and effective method to keep your smile healthy and beautiful for life. Given that oral health is connected to overall wellbeing, good oral hygiene can help improve your general health.The more you know about how to clean your mouth properly, the better your oral health will be. Many people think they brush their teeth correctly until their dentist explains the proper technique to them. If you notice some issues in your mouth despite the diligence in cleaning it at home, you may not be doing it the right way. 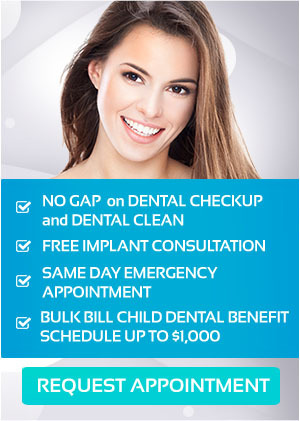 It’s time to seek help and consult your dentist for a comprehensive oral hygiene instruction. With a broad set of dental and oral care guidelines, oral hygiene instruction is not all about the basic of do’s and don’ts. It gives you a far more thorough concept, aiming to educate you about the exact demands of your teeth and gums – from choosing the right toothbrush to recognising the significance of routine check-ups. In addition, oral hygiene instruction allows you to create an oral hygiene regime that will suit your individual needs. This dental education can cover both treatment and prevention of oral problems. Dentist’s recommend that you replace the toothbrush every three months or when the bristles start to fray. Using your toothbrush longer than the required period or with worn bristles will not provide you the most effective cleaning. In addition, you may also be advised to change your hygiene tool after travelling, since bacteria can easily accumulate on your toothbrush while inside your suitcase; or after an illness, as germs and bacteria might still be resting on your toothbrush and must be replaced immediately once you feel better to prevent the risk of getting sick again. You should brush your teeth for at least two minutes. If you think, you are not brushing that long, you can set a timer every time you’re preparing to brush your teeth. You may also consider purchasing an electronic toothbrush that includes a self-timer feature. Everyone should floss at least once a day. Flossing is an effective way to get rid of debris trap between your teeth. Be sure to floss before you brush as this helps you remove as much food debris beforehand, allowing the toothpaste to get into the spaces easily for a more efficient cleaning. Antibacterial mouthwashes help remove cavity-causing bacteria. This helps prevent the first stage of gum disease. Similar to fluoride toothpaste, fluoride rinses help reinforce teeth and inhibit dental decay. Oral hygiene instruction in Mernda is a great way to improve your entire wellness. Aside from instructing correct brushing and flossing techniques, we also provide guidelines on your diet and other aspects of your life to offer you an all-inclusive oral hygiene program that perfectly fits your dental needs. To help you keep a great oral hygiene regime, visit your Mernda dentist today at United Smiles. Our dental professionals look forward to serving and providing you a spectacular smile through education and awareness.